Mike didn’t watch the original run of Trading Spaces, so this week was quite the experience for him. Looking at some of the crazy ideas from the original show (hay on walls, furniture on ceilings, murder kitchens) and some of the crying homeowners left him with more questions than answers. Steve, however, took a nostalgic trip down memory lane to think about how the original run of the show inspired him to be more creative and experiment with color and techniques in your own space. We also watched the first episode of the reboot and compared it to the original format to see what’s new and what’s the same as ever. 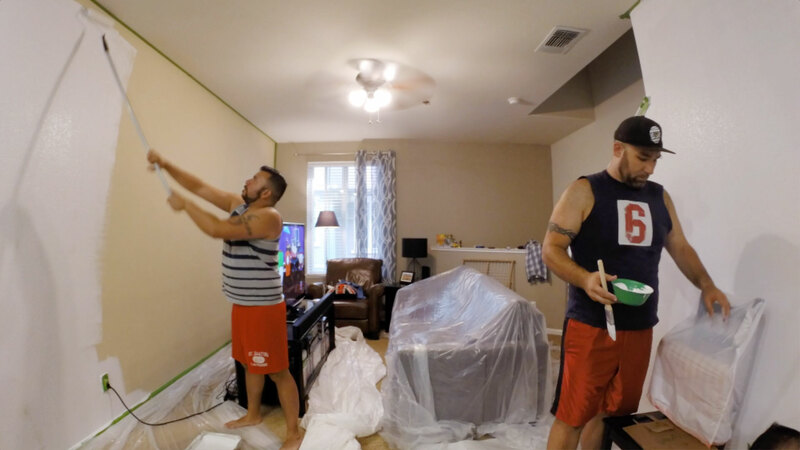 Here’s a timelapse we shot of us re-paiting our living room back in 2015… the closest we’ll ever get to being on an episode of Trading Spaces!